A key element to running a successful catering business is the ability to create accurate budgets for each event. A budget that projects expenses accurately allows you to keep actual expenses below billing costs, maintaining a healthy profit margin. Successful caterers are able to determine how much they need to spend on each person at an event, while at the same time calculating a markup value that makes catering each event profitable and worth their while. Create a chart or spreadsheet listing each of the food and beverage items you need for the catering event. It may help to break the list up into categories such as appetizers, main entrees, desserts and beverages. Next to each item, create a column for actual costs per serving, charged costs per serving, actual total costs for the event and charged total costs for the event. Calculate the actual cost per serving of each food dish and beverage needed for the event and place this figure under costs per serving. The actual costs are what you need to spend on the raw ingredients needed to prepare the dishes and the actual price you're paying for beverages. Determine the markup value of your food and beverage items. As a general rule of thumb, many caterers go by the formula of charging three times the actual cost of the items for their final pricing. For example, if a dish costs you $5 per serving to make, charge the customer $15 per serving. Calculate this figure for each serving and place it under charged total costs per serving. Multiply the actual cost per serving for each item by the number of guests attending and place this figure under the actual total costs for the event. Also, multiply the charged cost per serving for each item by the number of guests attending and place this figure under the charged total costs for the event. Total the figures in each column for a clear view of your food and beverage budget. From these totals, you can see what your actual costs are per serving and for the event. You also can determine your potential profit by comparing it to the markup figures for the event. Make another section on your spreadsheet for your staffing and venue expenses. Within this section, write down any fees associated with hiring staff such as servers and bartenders and also any facility expenses if you're providing the venue for your client. 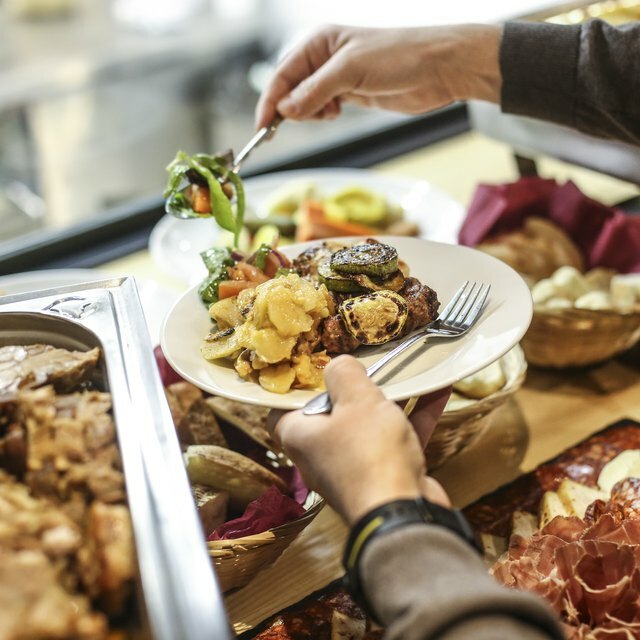 Some caterers choose to bill for staffing separately, while others find they prefer to charge a flat percentage rate, such as 21 percent of the total bill as an automatic service fee, making the staff included. Add the appropriate taxes to the bill before proposing the estimated charges to your client for approval. For example, if your state's tax rate is 8.25 percent, multiply the bill total by that percentage to figure out how much tax is due for the event.